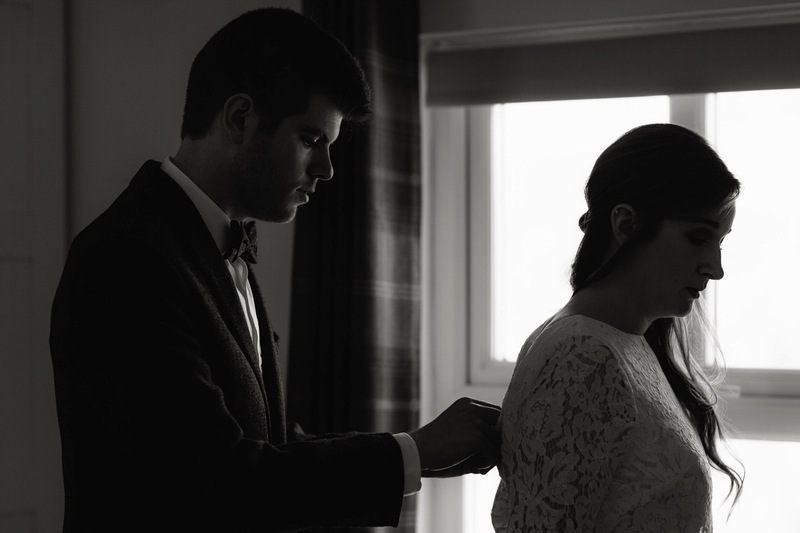 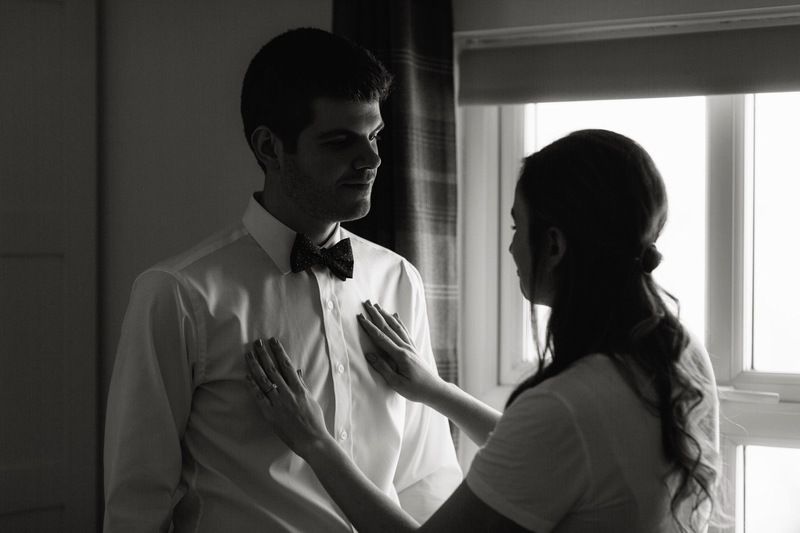 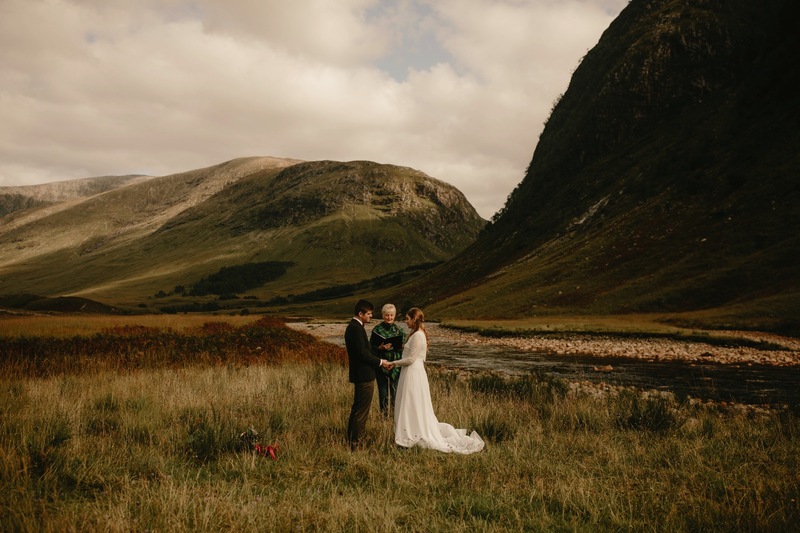 It’s been a long time sharing, but I’m super excited to put up this blog of Ryan and Michaella’s elopement in Glencoe. 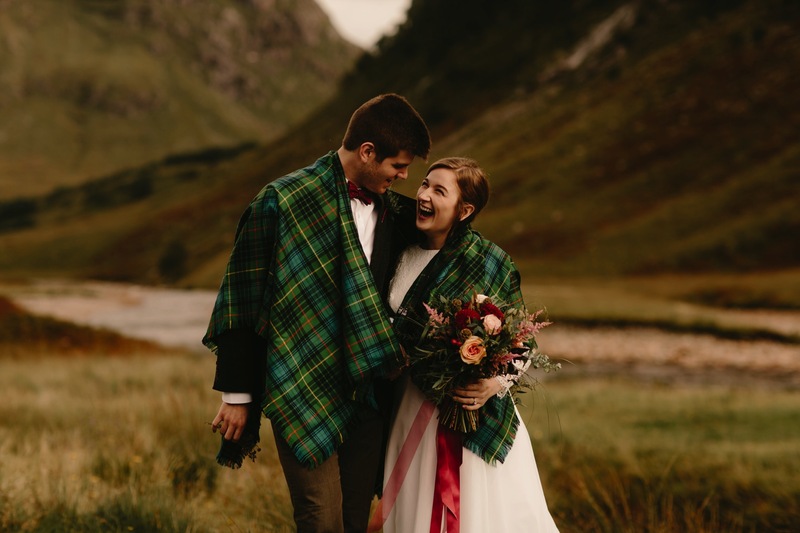 They made the long journey across the Atlantic from Michigan to officially tie the knot in the Scottish highlands. 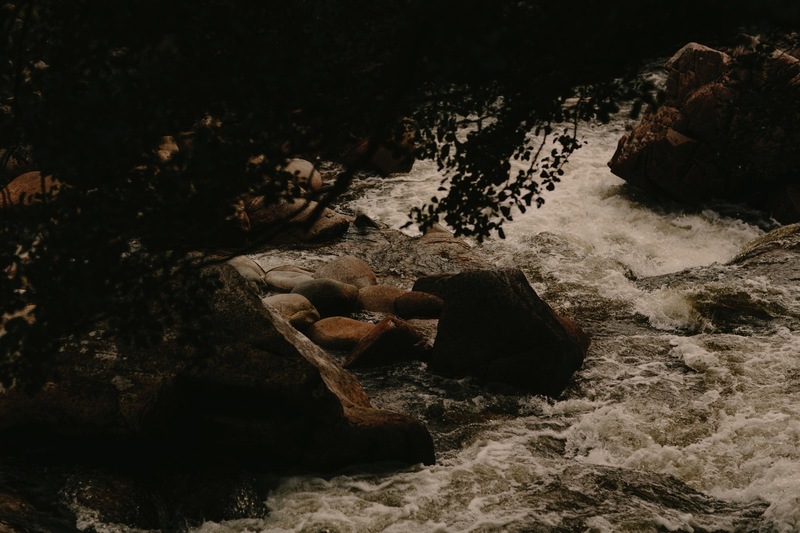  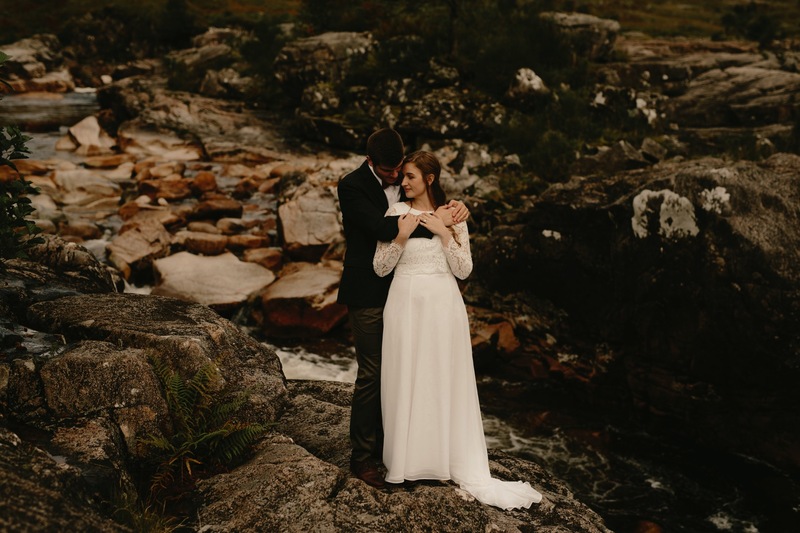 Surrounded by beautiful lakes back home, they wanted to somewhere that encapsulated their love for the outdoors but with more rugged scenery than they’re accustomed to on their doorstep. 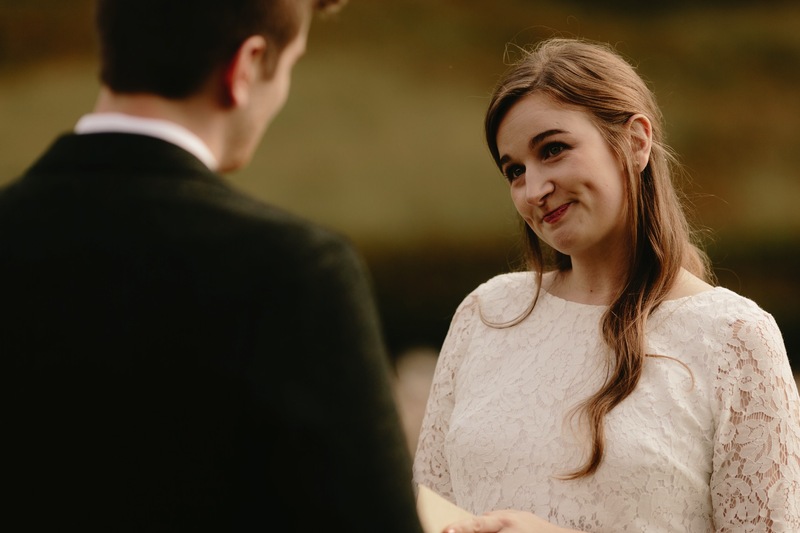 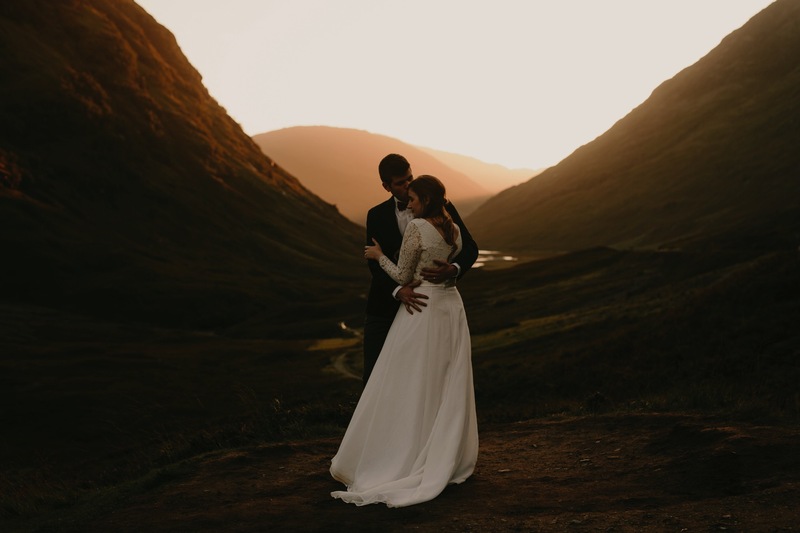 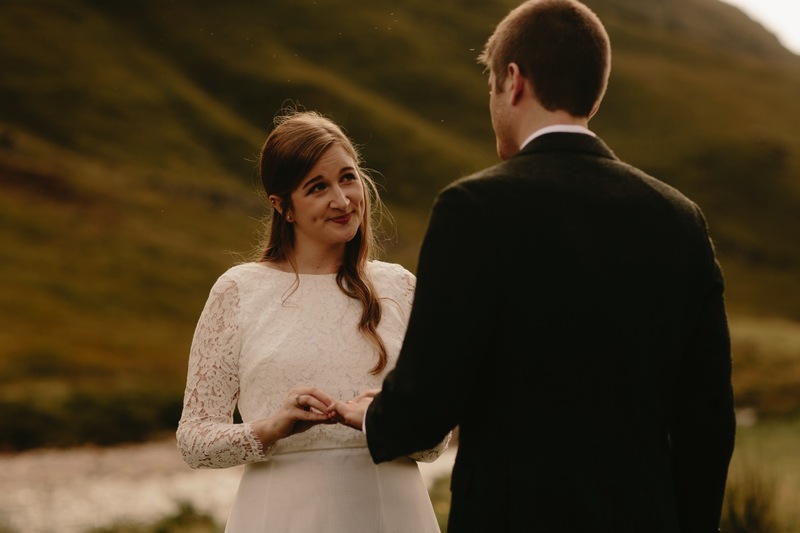 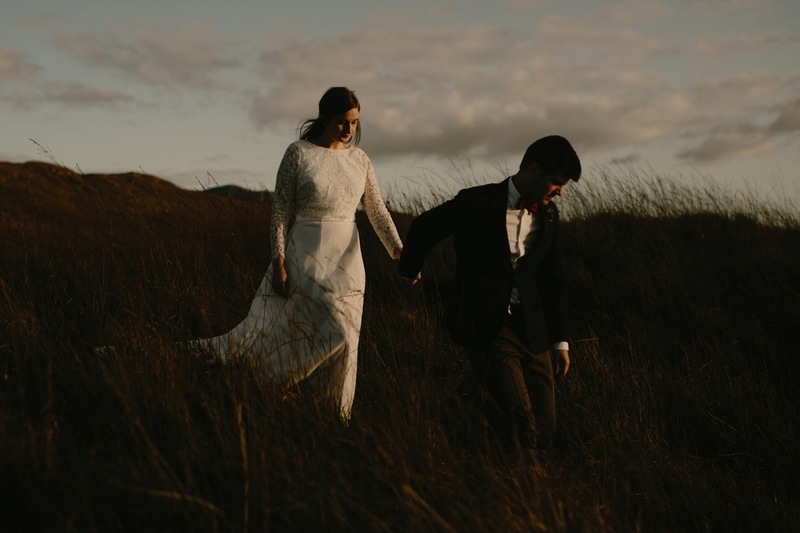 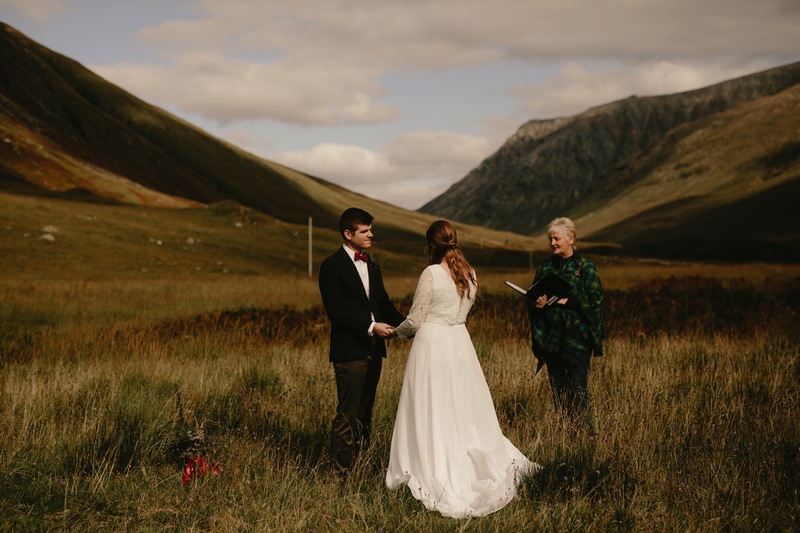 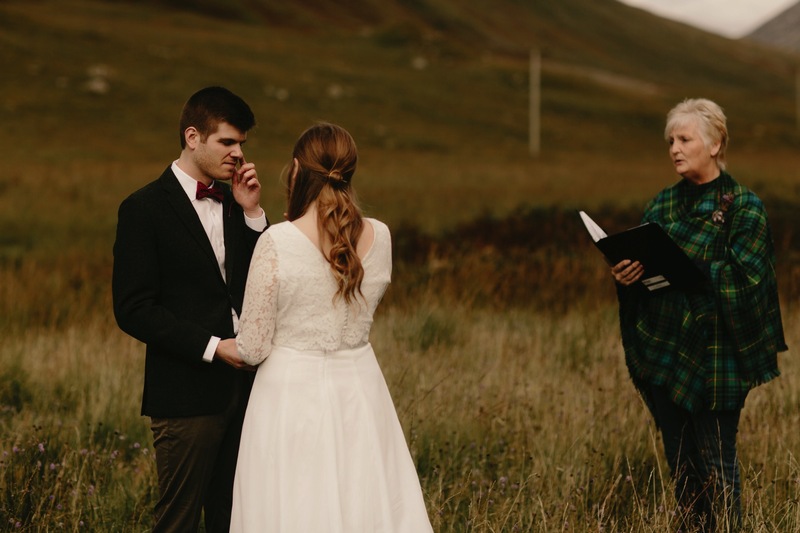 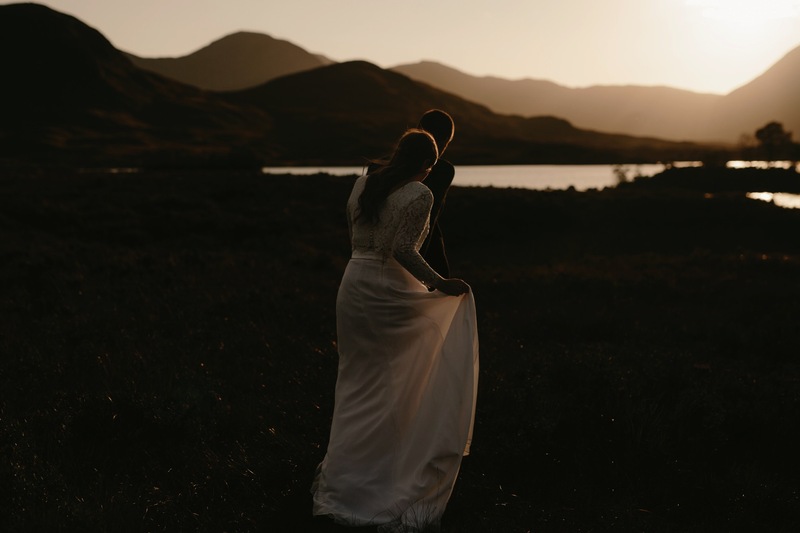 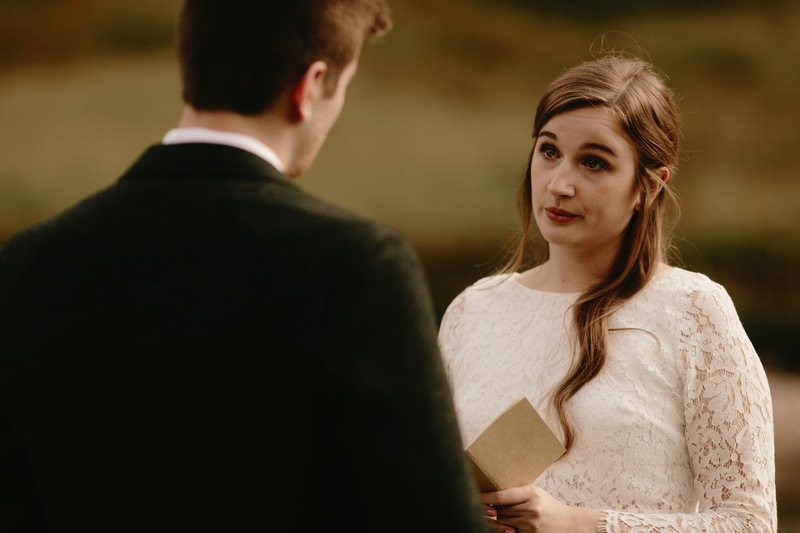 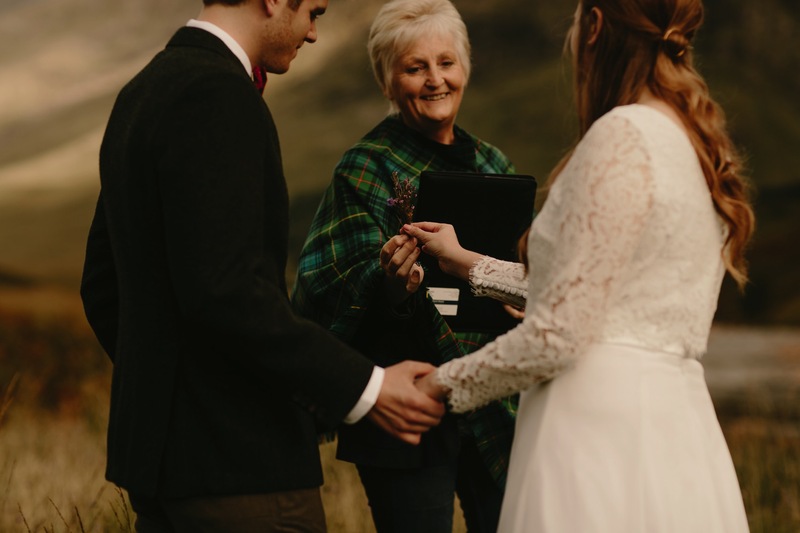 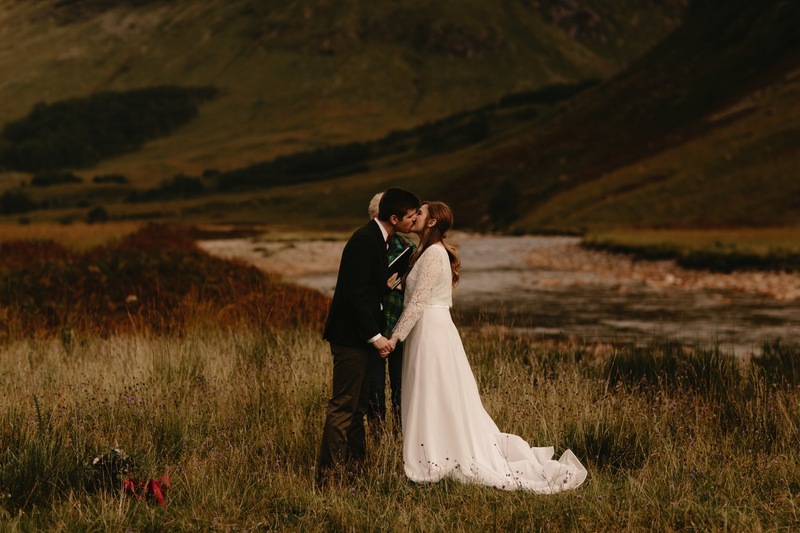 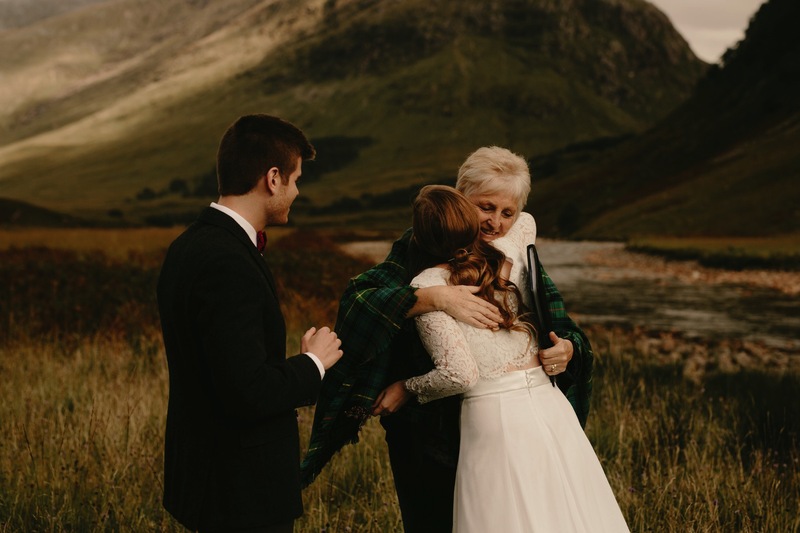 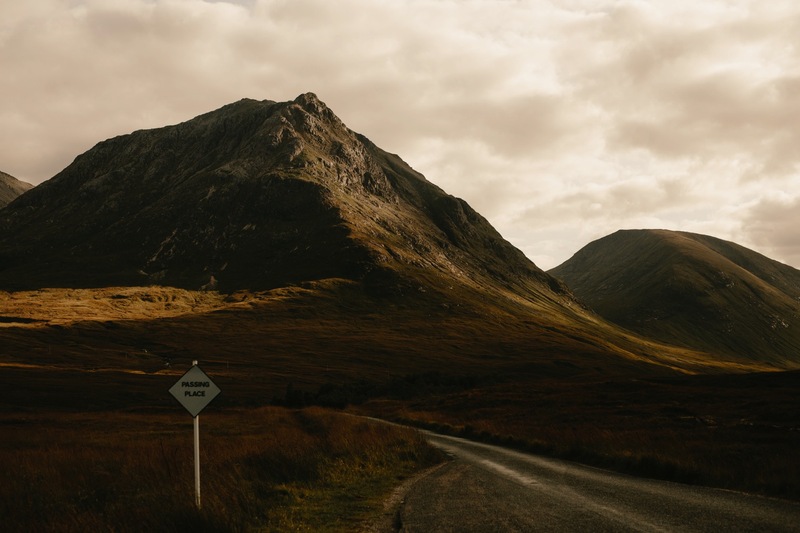 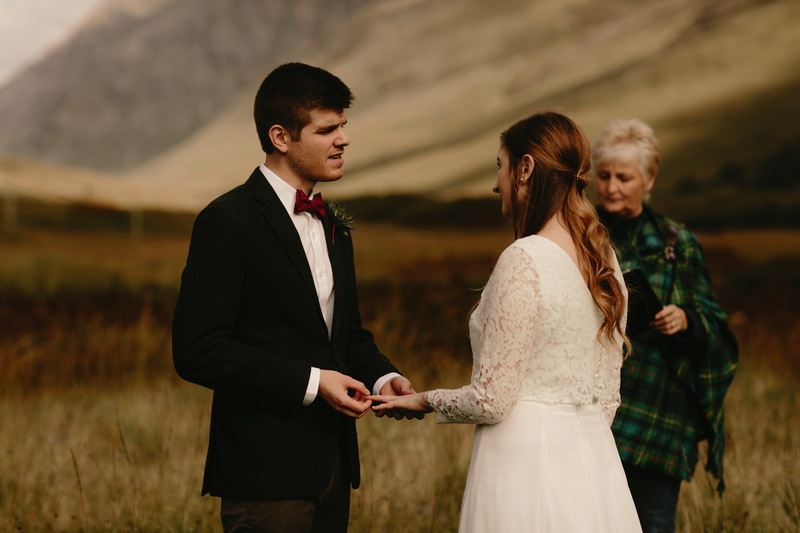 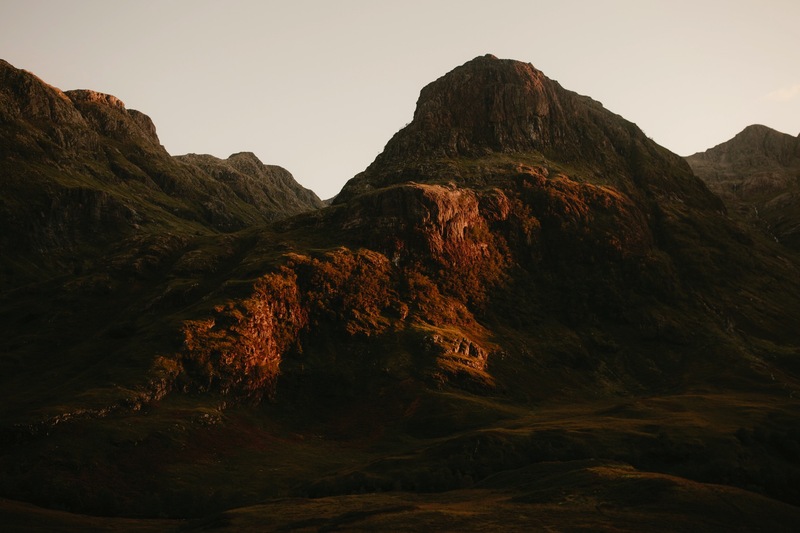 Seeing their faces light up with excitement as we drove alongside the three sisters in the heart of Glencoe, it was clear the reality had exceeded what they even hoped their elopement to be. 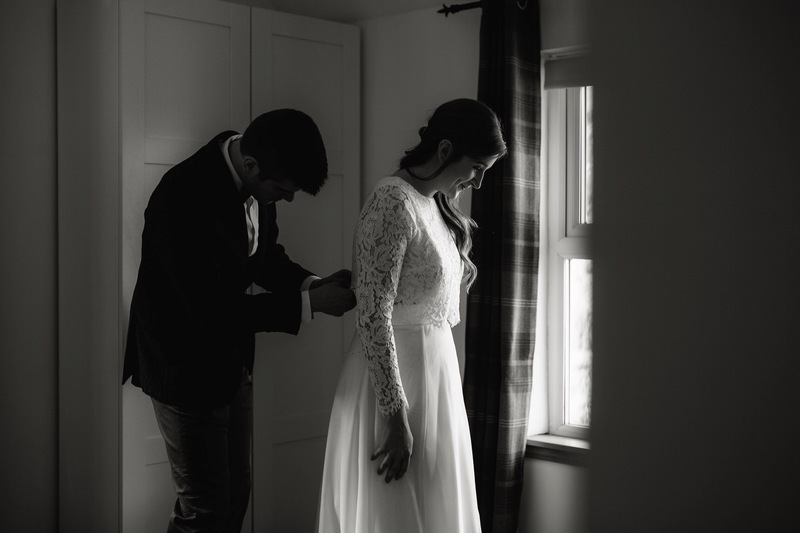 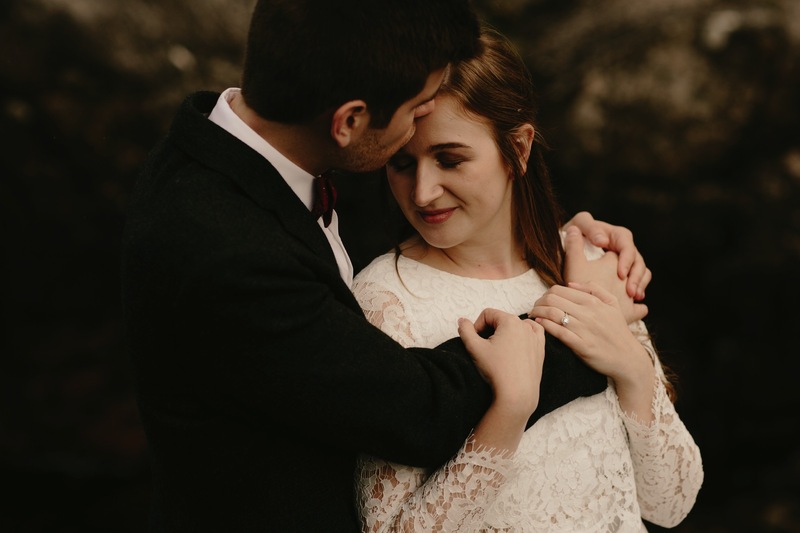 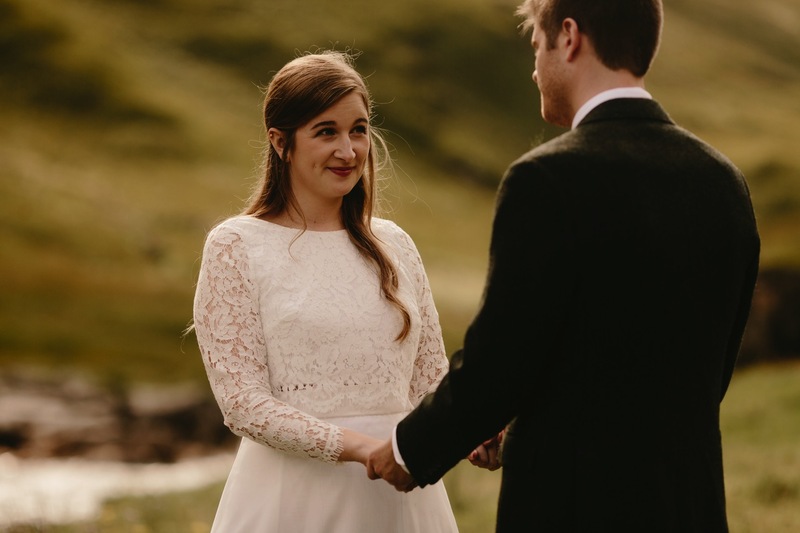 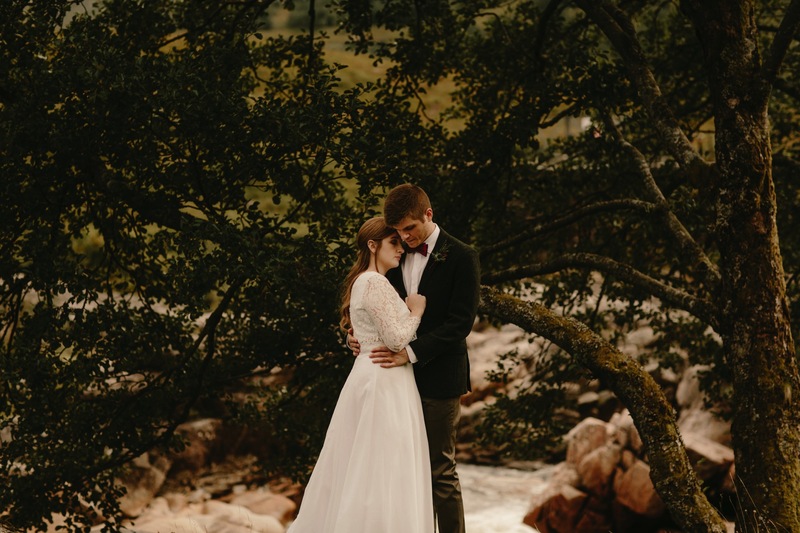 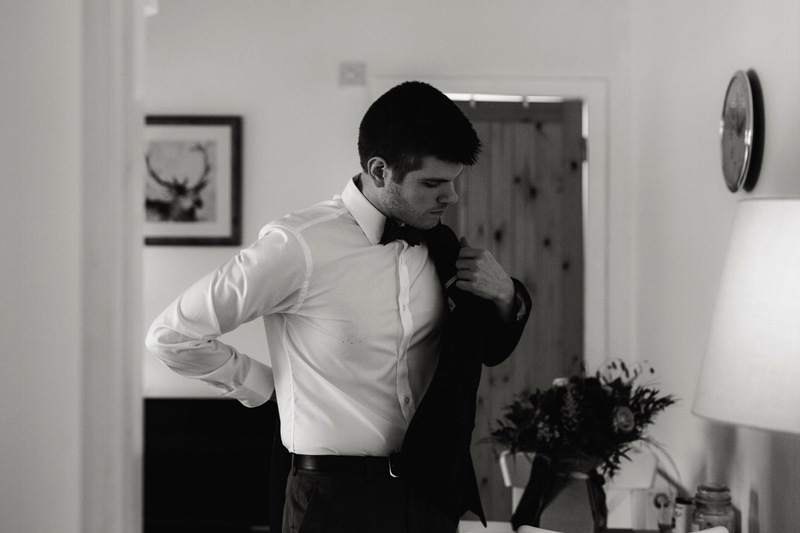 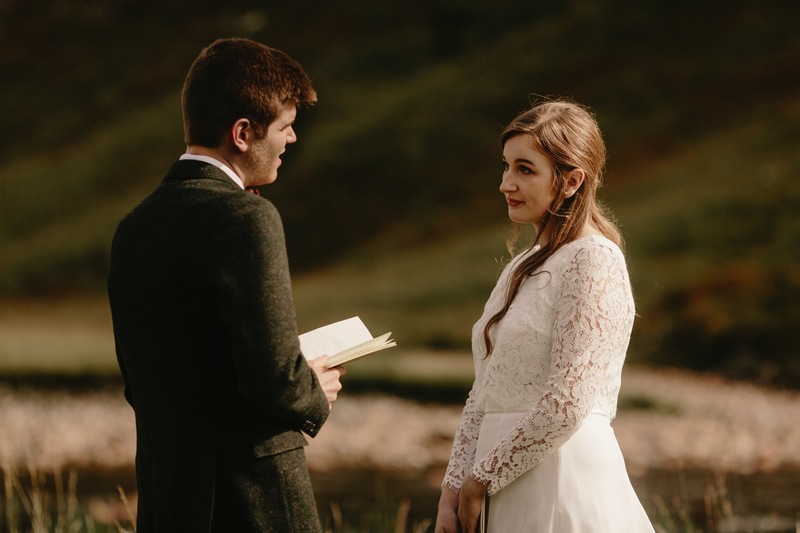 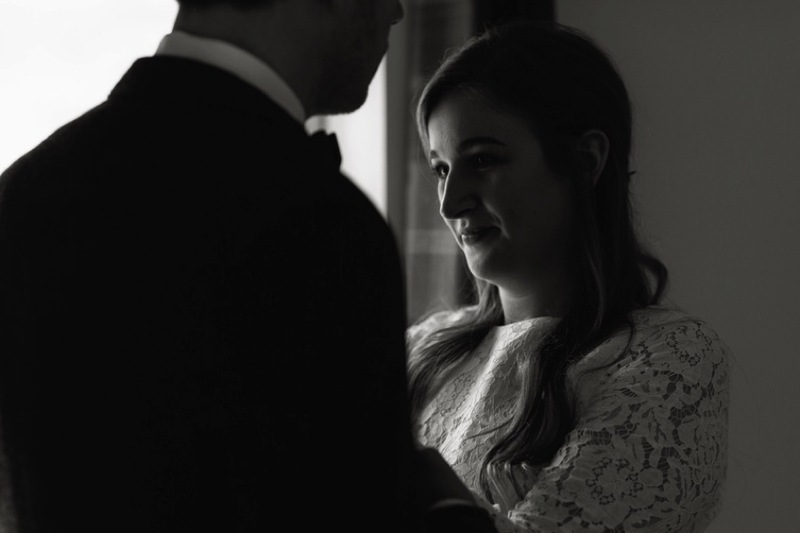 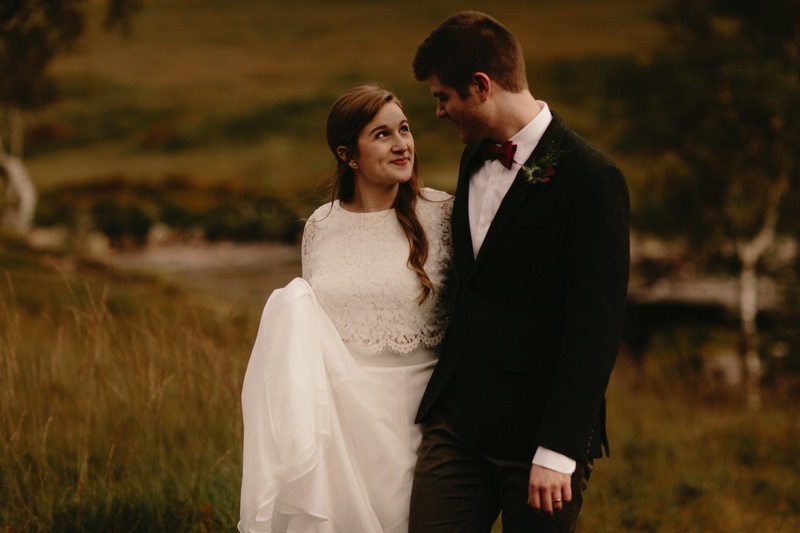 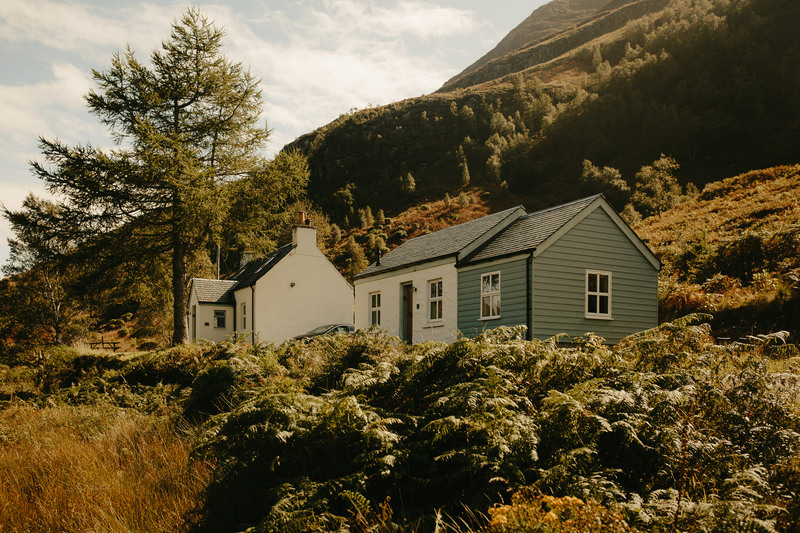 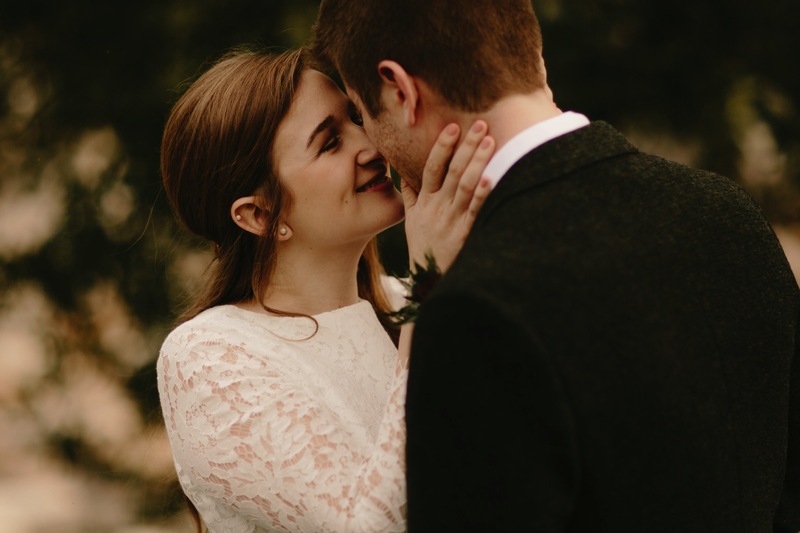 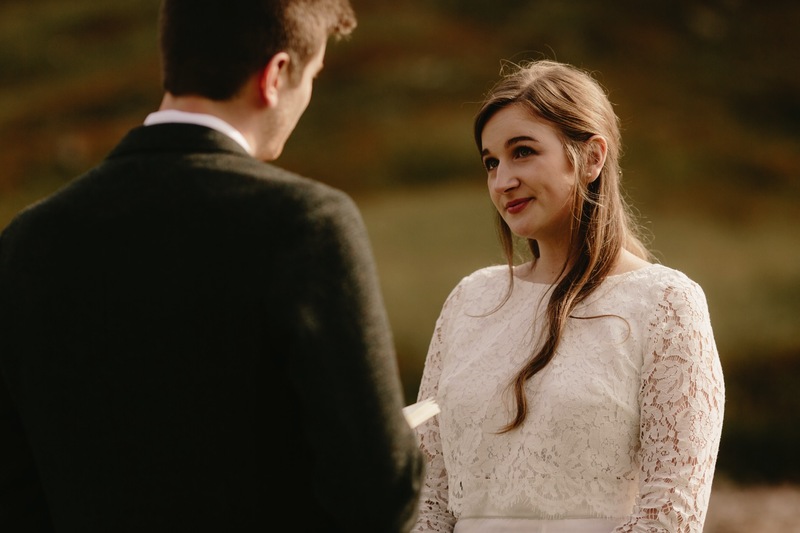 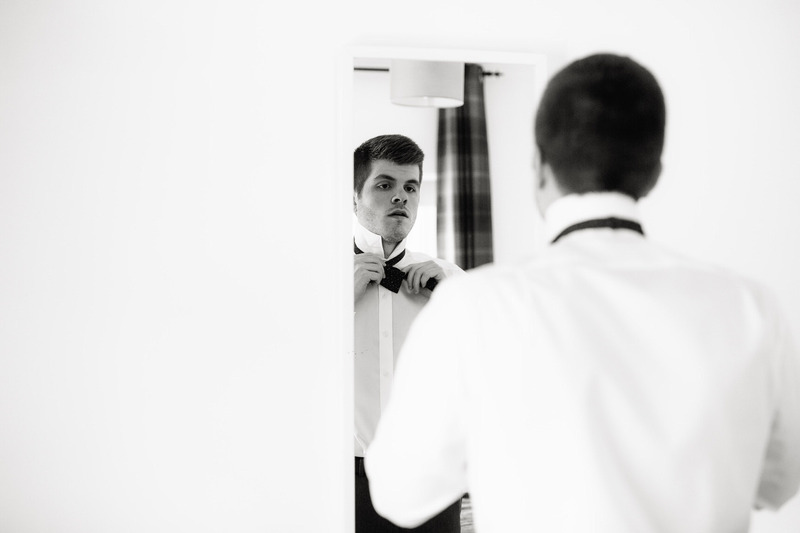 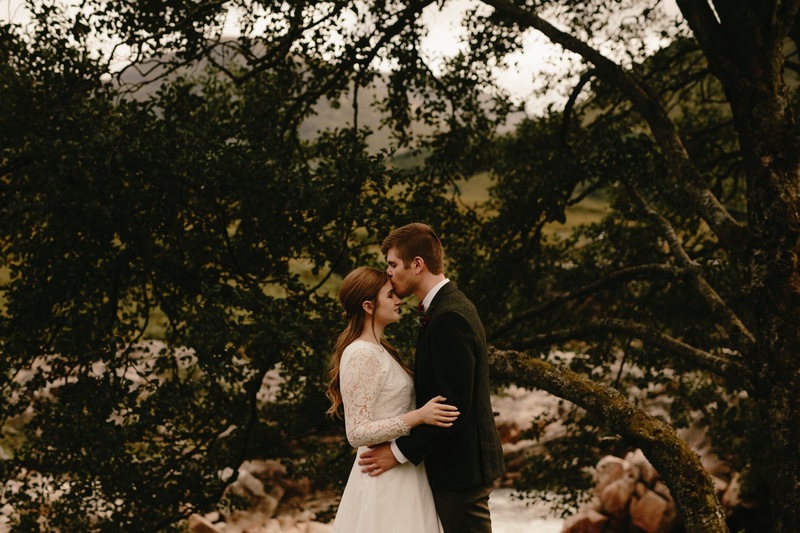 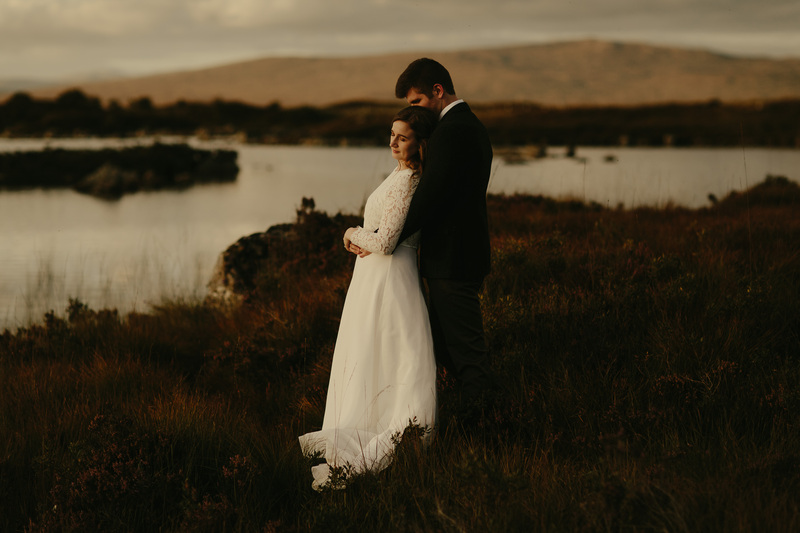 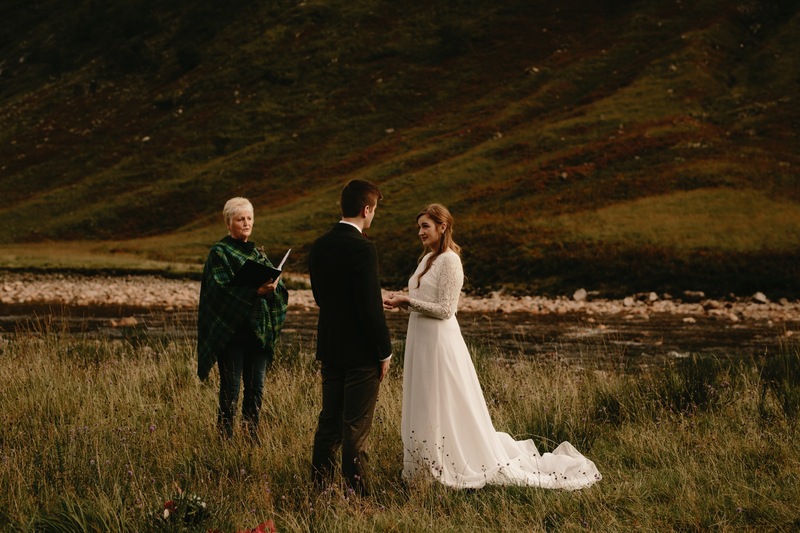 The day started at the cutest little cottage in the neighbouring village of Kinlochleven, where Ryan and Michaella got ready together, helping one another into their suit and wedding dress. 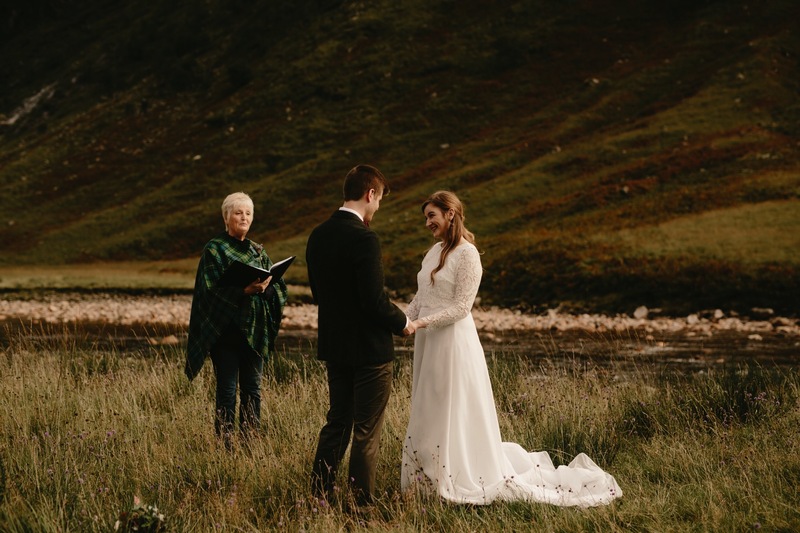 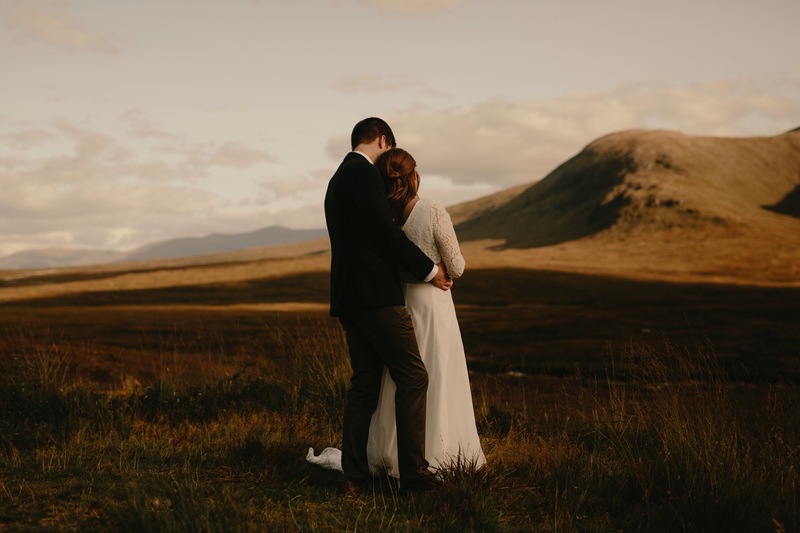 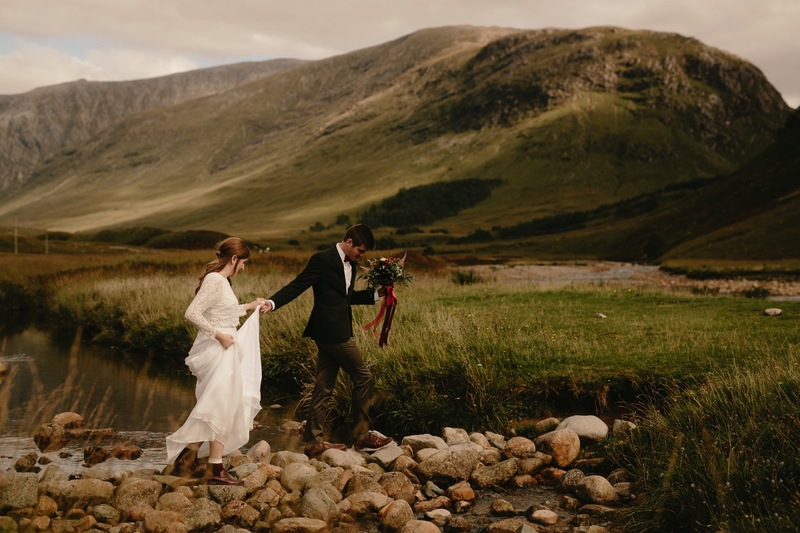 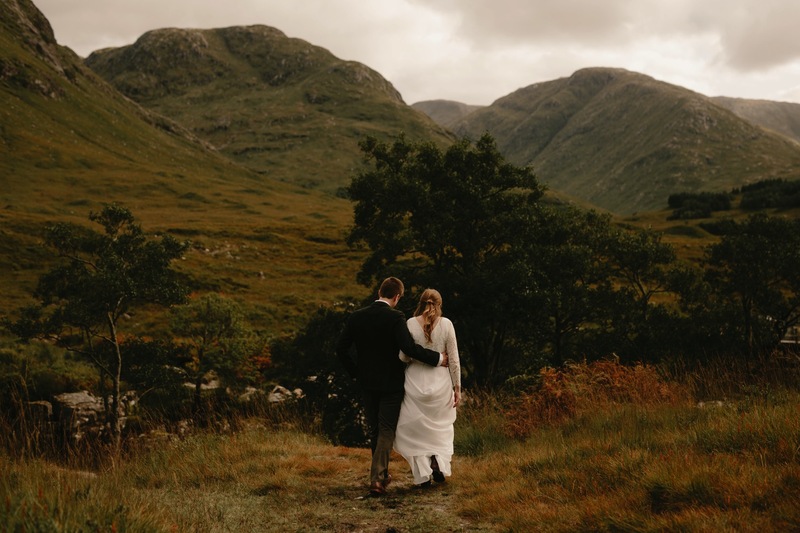 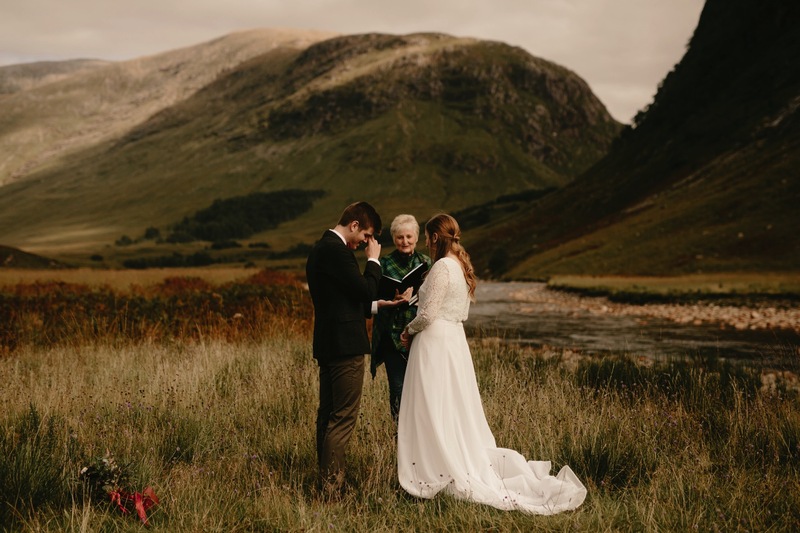 We then headed through Glencoe, searching for the perfect spot for them to share their vows with one another, eventually pulling up in Glen Etive, surrounded by nothing but the mountains and the gently flowing river. 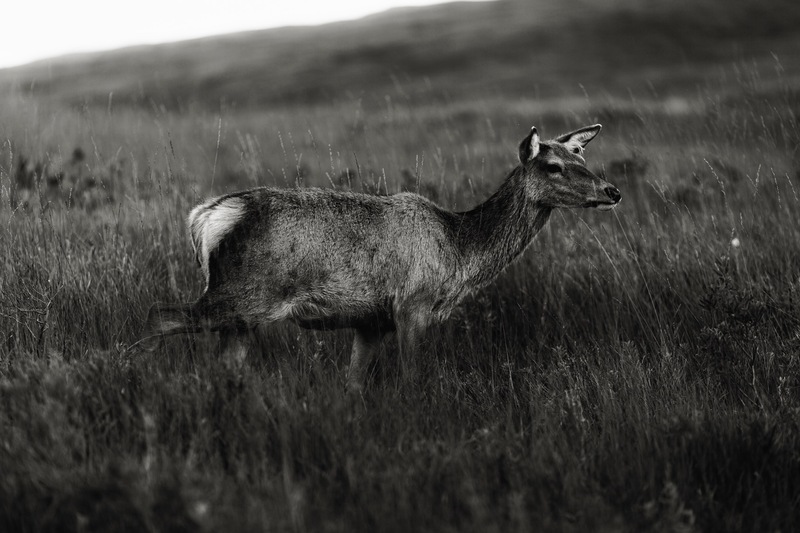 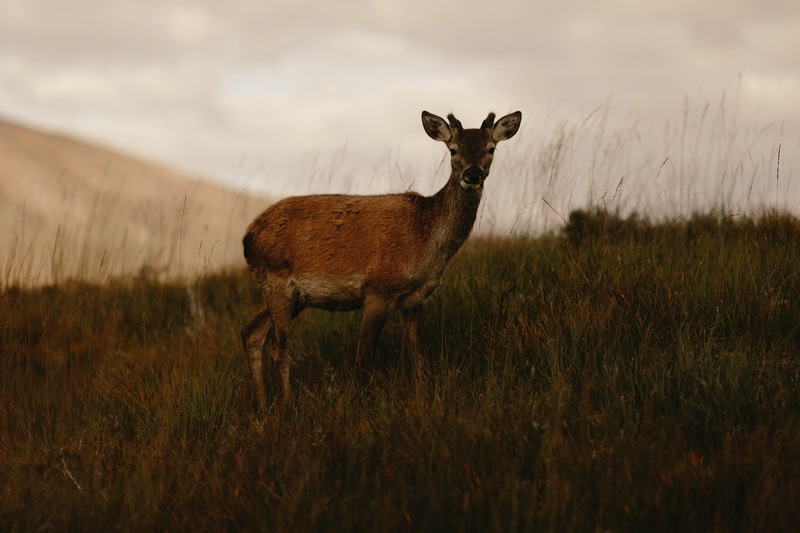 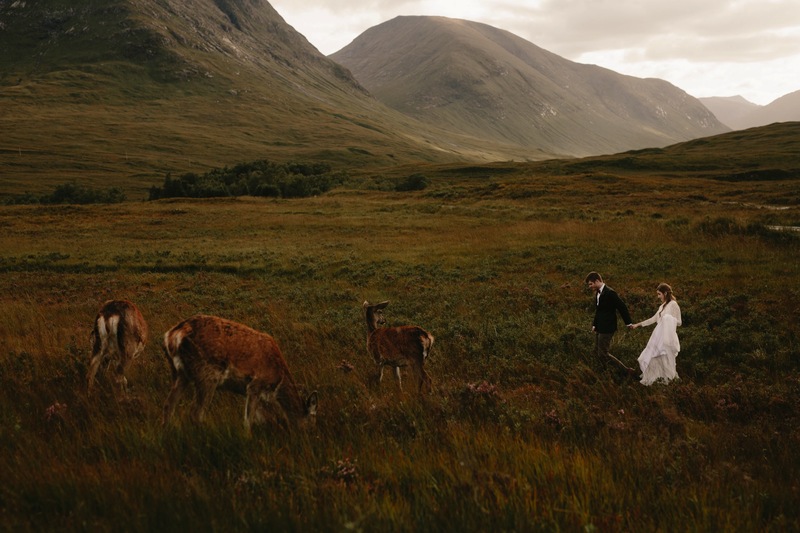 Once their intimate ceremony was completed, we moved along the Glen to get some intimate portraits of the two of them, passing nobody but the local deer, grazing in the nearby fields. 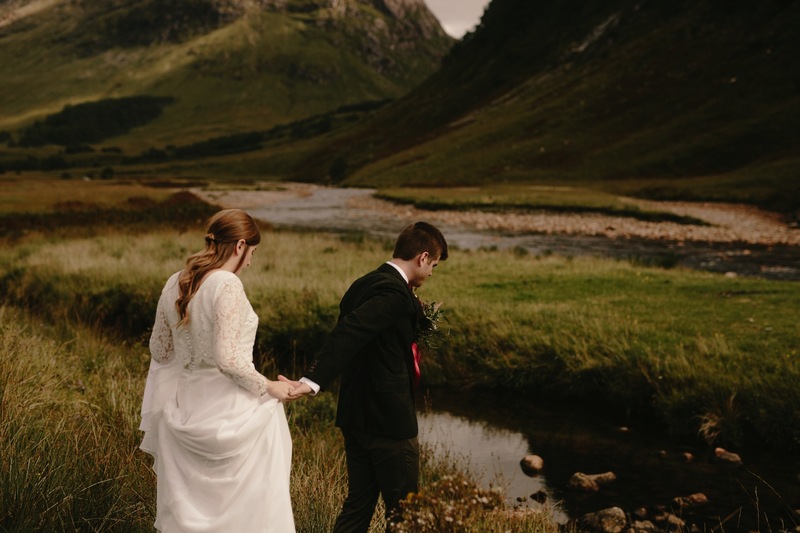 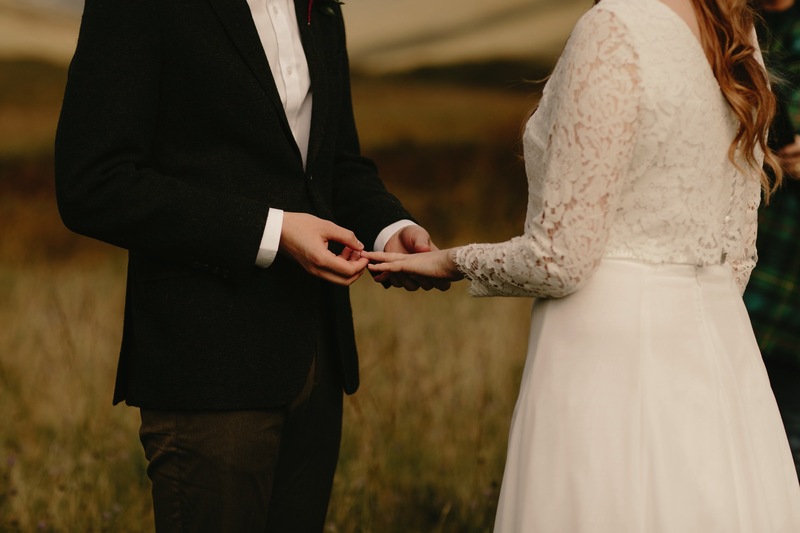 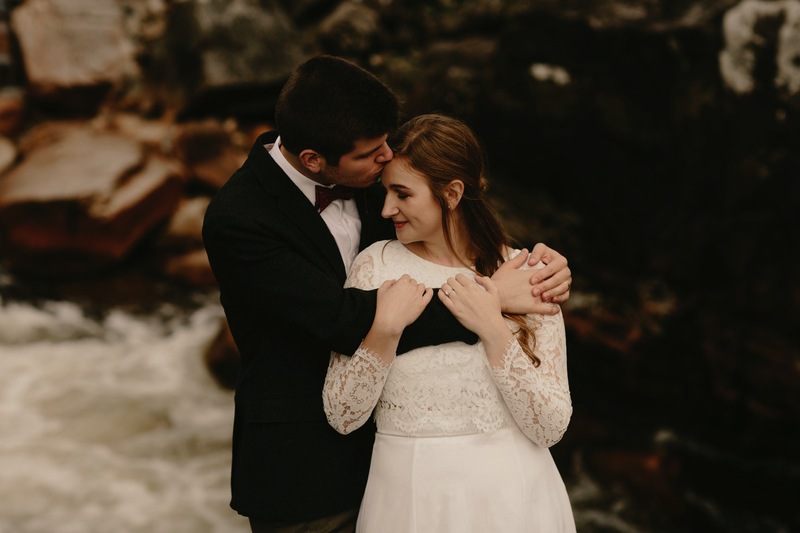 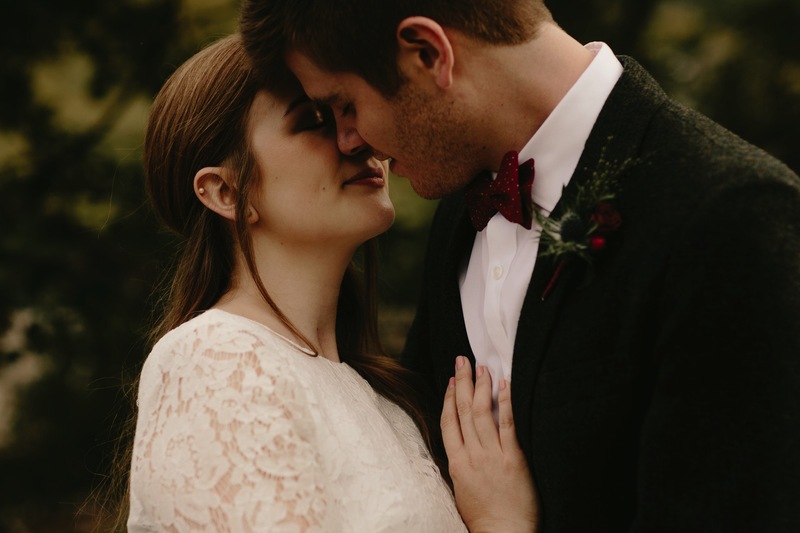 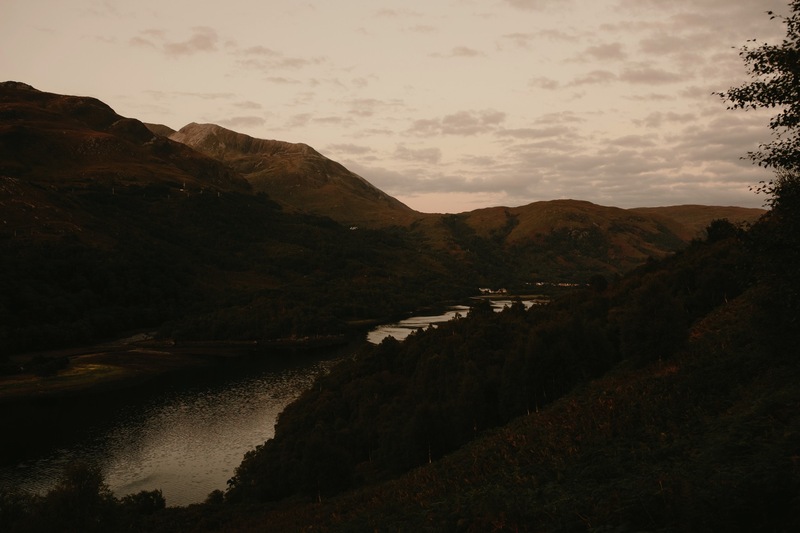 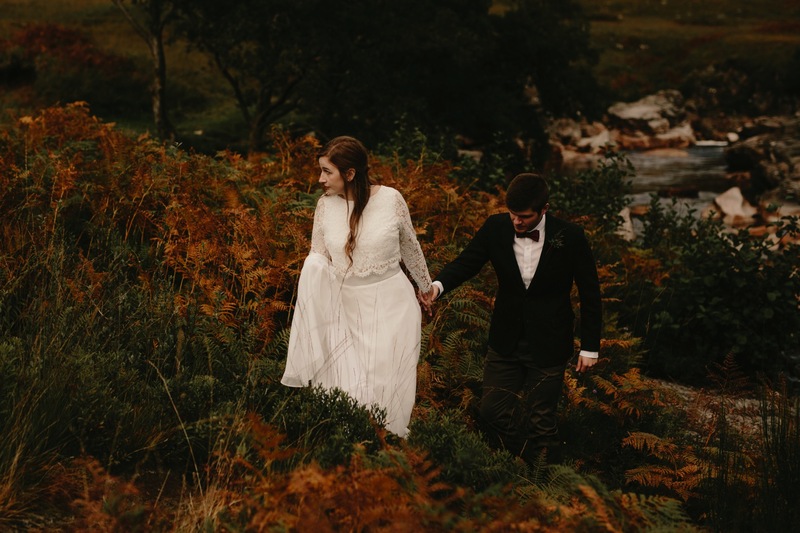 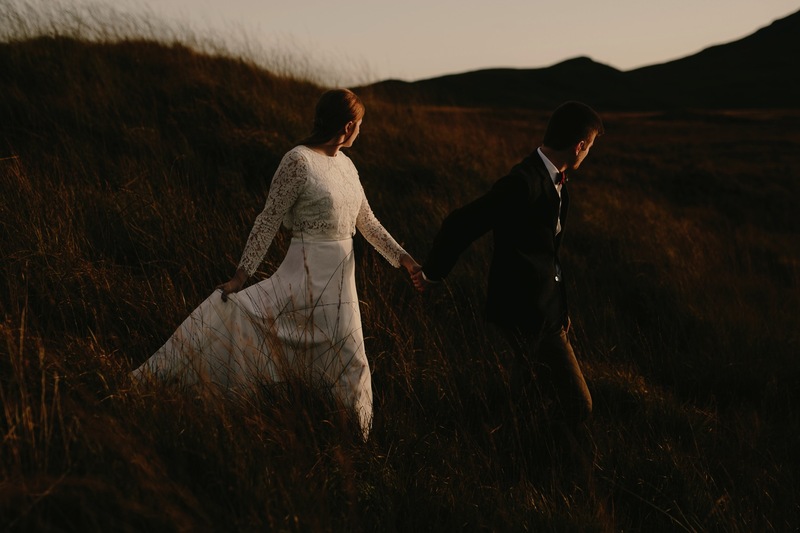 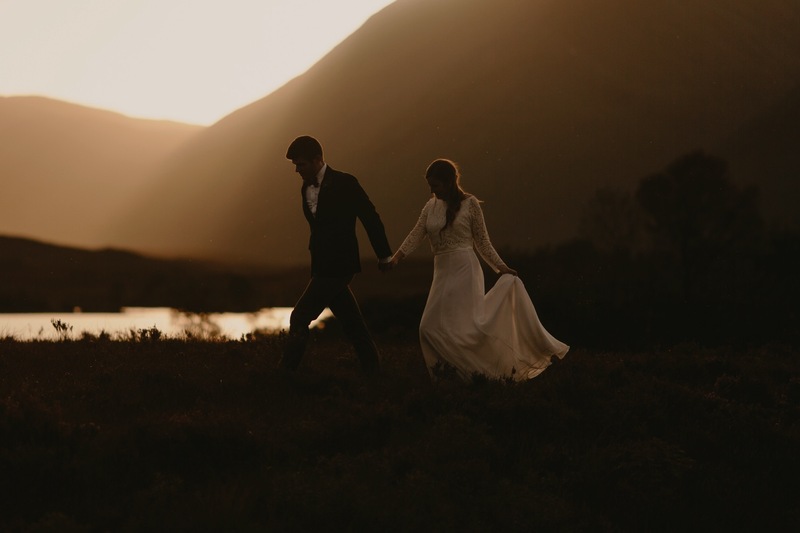 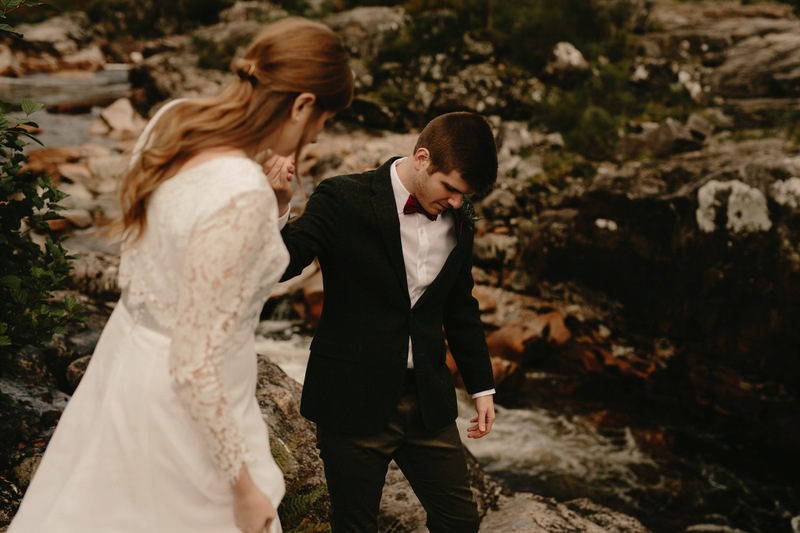 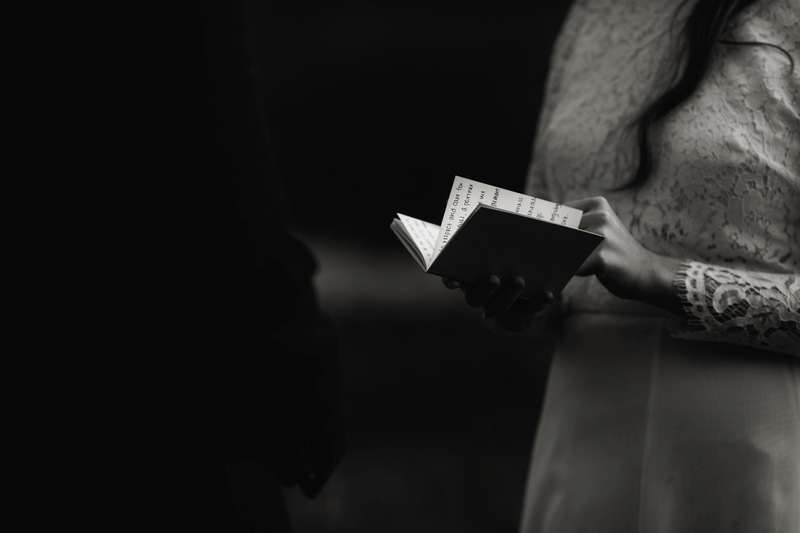 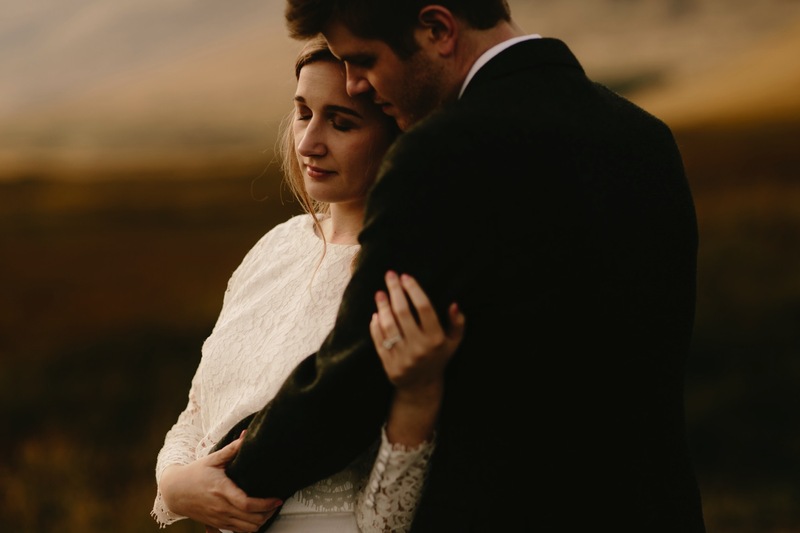 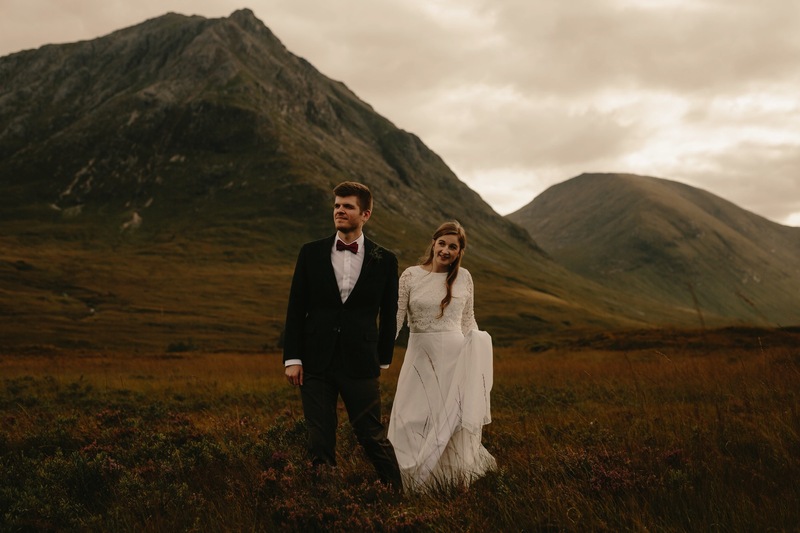 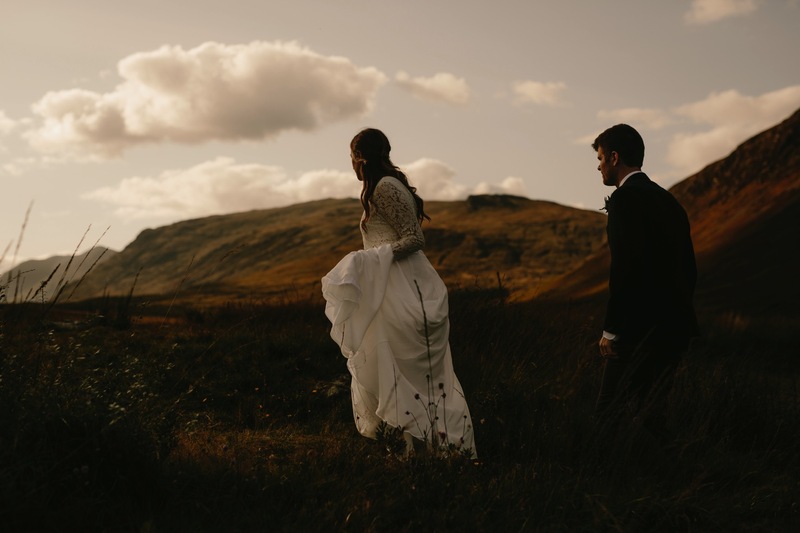 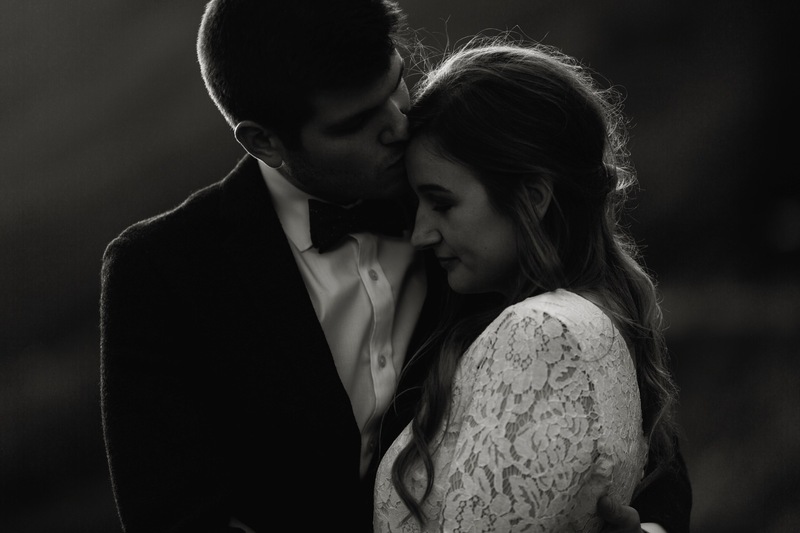 Looking back at this Glencoe elopement brings with it the fondest memories. 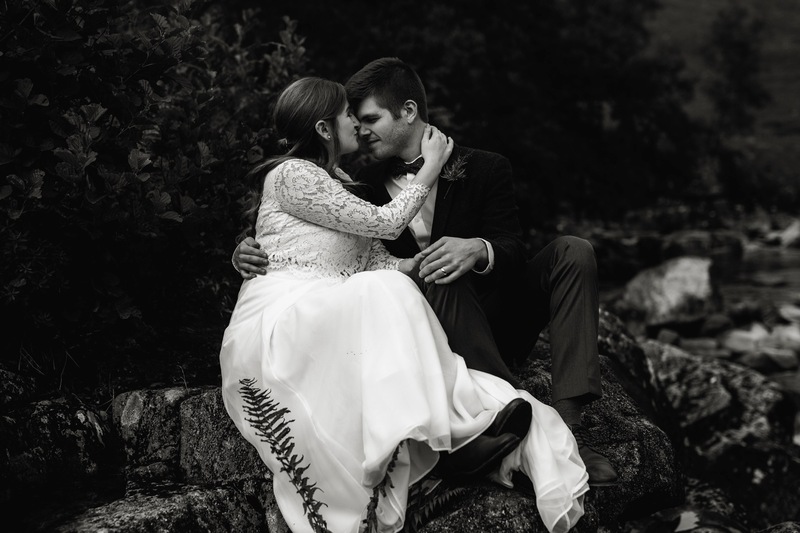 These guys were an absolute blast and full of heart. 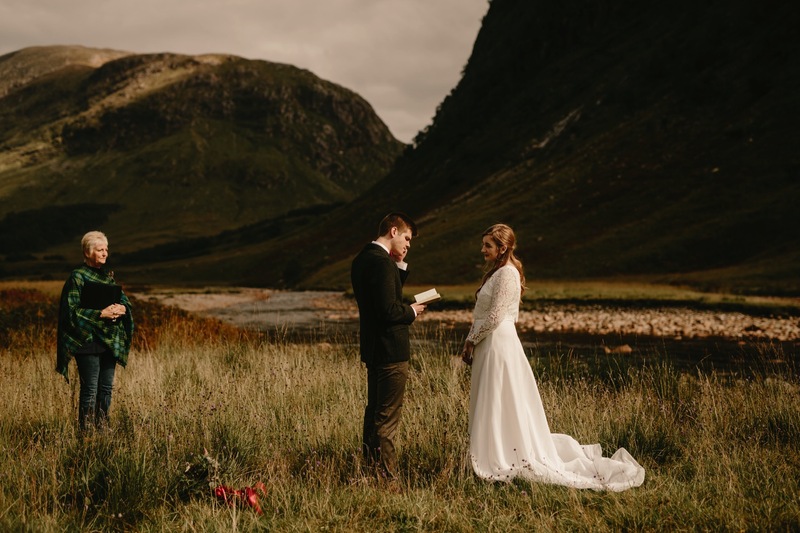 Our time together was never going to be long enough, but being able to share some of my favourite spots in Glencoe with them was so special and it was an incredible honour to be the sole witness to this day and the start of their marriage.